Home » Next stop, Formula Drift! Today we leave Brisbane headed for Singapore for the second round of the Formula Drift Asia series! It has been a big lead up to the event, with interviews and exciting news including a movie premiere before competition and that my S15 will be on display at the media launch on Thursday! 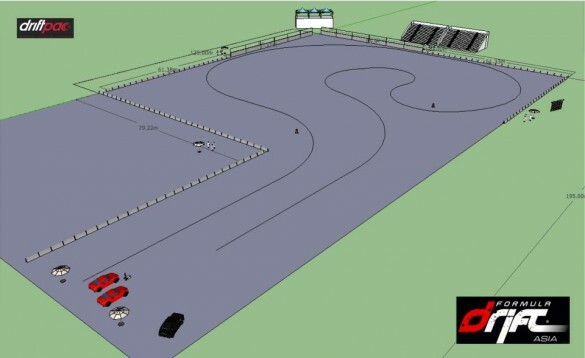 The team at Formula Drift have released the track map too, so we have an idea of the course, but you never really know what it will be like until you get to check it out and walk the circuit! It will be great to catch up with the rest of the competitors and I will be bringing you all the highlights, photos, videos and updates right here on my website. Thanks for following the adventure and remember, STAY SIDEWAYS!